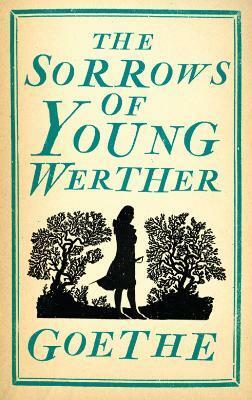 Presented as a collection of confessional letters written by the eponymous protagonist, The Sorrows of Young Werther charts the emotional journey of a young man who, during a stay in a picturesque German village, falls in love with Lotte, a local woman engaged to another man. As he realizes that his passion is doomed to failure and constant pain, Werther contemplates taking the most drastic measures. Partly autobiographical, and the prototype for many later Romantic works in its depiction of the sensitive, tortured hero, Goethe's seminal classic is a timeless masterpiece of world literature. Goethe (1749 - 1832) was one of the greatest German writers and the leader of the Weimar Classicism movement. Most famous for his seminal poetic drama, Faust, and his novel The Sorrows of Young Werther, Goethe was also a poet, theologian, philosopher and scientist - one of the world's last great polymaths.